There’s nothing more spectacular than having a majestic river as backdrop on your special wedding day. If you are looking for the perfect river wedding venue in Gauteng, we invite you to visit our beautiful river cruiser. 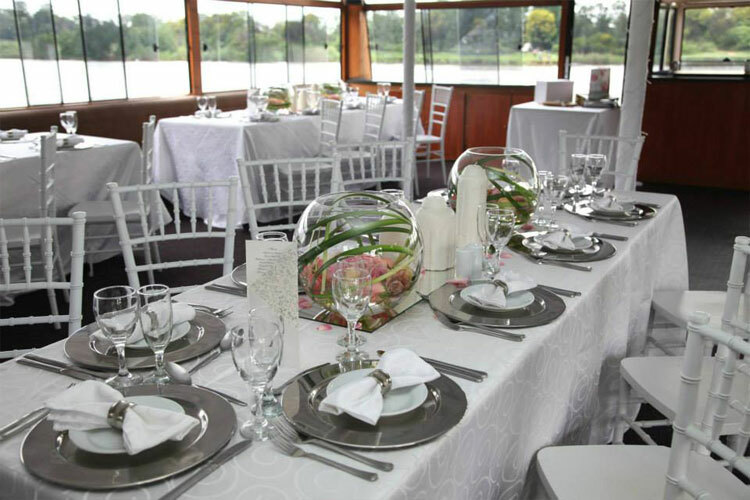 This river cruise boat doubles as a unique wedding venue, offering the wedding couple and guests the opportunity to cruise down a 52km stretch of calm navigable water of the Vaal River. Located in Vanderbijlpark, Vaal Triangle, the Liquid Lounge is the perfect Gauteng river venue for everyone. We guarantee that you will have a memorable and special wedding day aboard our unique river wedding venue in Gauteng. Contact our team at Liquid Lounge today for more information about our wedding venue. Catering: We offer a number of different options and spectacular dishes to choose from. Whether you prefer cocktail finger snacks, or a delicious buffet menu, you are guaranteed of freshly prepared meals by our experienced chefs. We have dishes available for every taste and need. Contact us four our available menus to choose from. Decor: We will help you to decorate the venue according to your wedding theme. We provide a beautiful basic setup, and will put you in touch with our preferred decor company for other decor items you require for your wedding reception. Function coordinators: Our team of function coordinators will ensure that everything runs smoothly on your wedding day at this river wedding venue in Gauteng. We will ensure that your guests have everything they need while on our cruise boat, to ensure that they too enjoy your wedding day. Music: We offer beautiful background music, and DJ is also available as an optional extra. A DJ is especially advised if you and your guests would like to dance the night away! Facilities: Our river wedding venue cruiser includes all the facilities you will require from your wedding venue. The upper sundeck and lower indoor deck can be used for your reception, depending on your needs. A dance floor can also be constructed, and a cash bar is available for your guests to enjoy refreshing drinks. A relaxing river cruise is perfect addition to your wedding day. 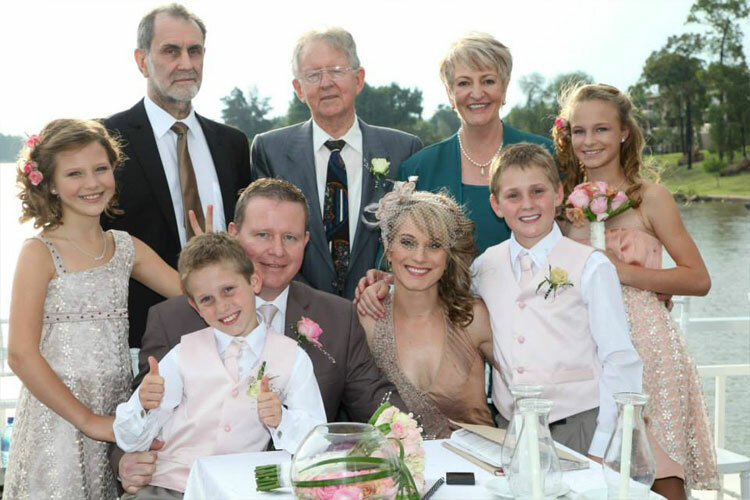 You and your guests will truly enjoy their cruise down the beautiful Vaal River, whilst spending time with friends and family on your special wedding day. Contact the Liquid Lounge today to make an appointment to view our beautiful venue. We will provide you with a tailored quote that will fit into your wedding budget. 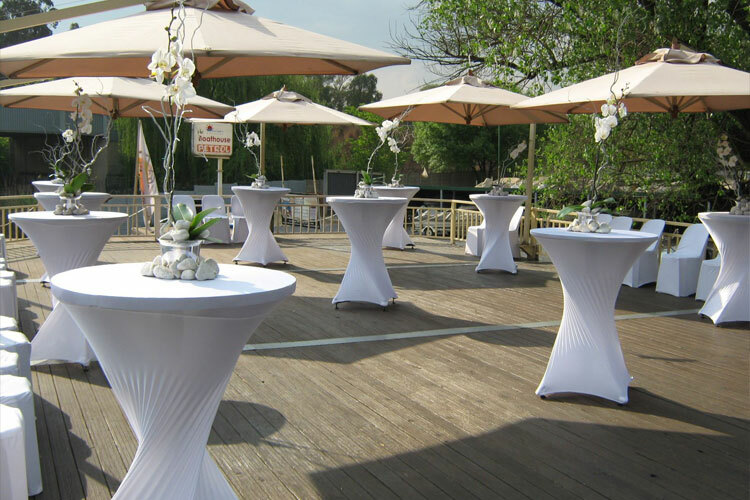 Book the best river wedding venue in Gauteng for your special day.